Open everyday, 11am – 6pm. 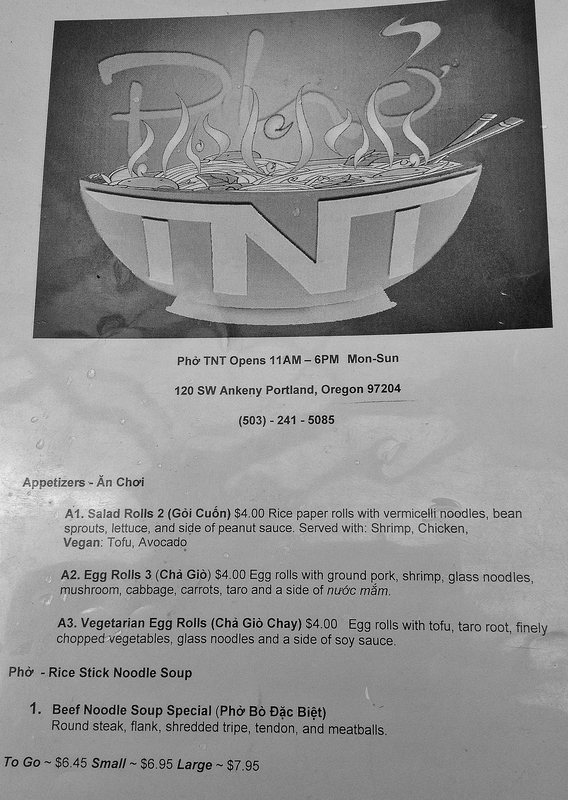 Pho TNT is located on the first floor of the building by the Ankeny Arcade where the Saturday Market is held every weekend. In fact, we stumbled in to escape the deluge last Saturday, and were certainly happy we did. 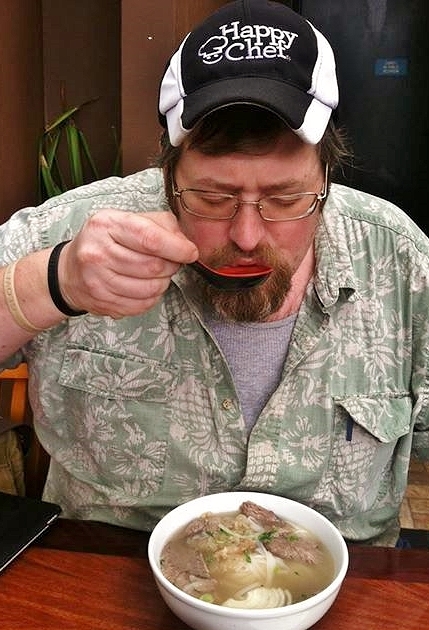 Without waxing too poetic, let me just say that this was, hands down, the best bowl of pho bo I’ve ever eaten and, as one of my all-time favorite foods…I’ve eaten a lot of it! 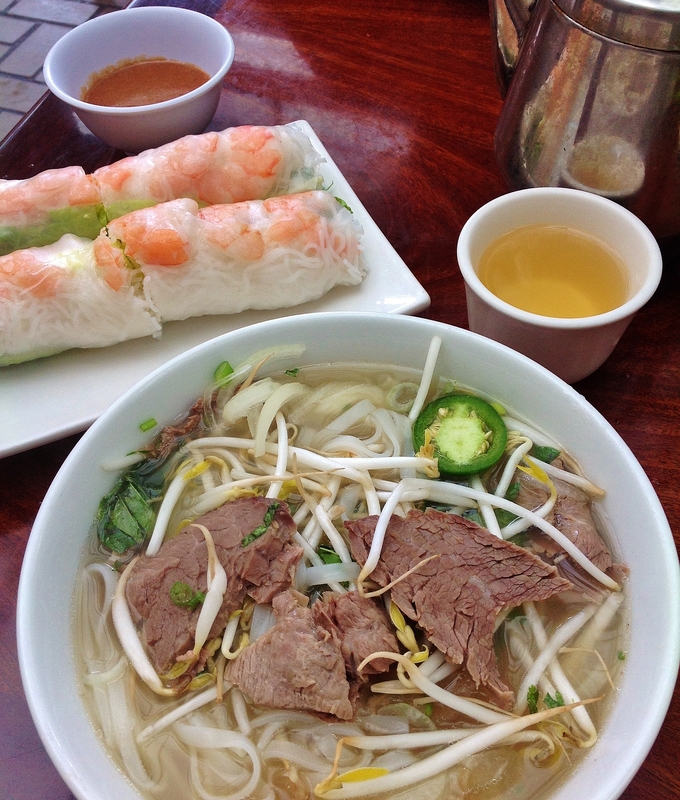 Fantastic pho is all about the broth, and that’s where so many pho joints here in the states fall short, with the broth often tasting like little more than a can of warmed beef broth. The “large” for $8 is huge, with plenty of brisket and beef tendon (my favorites) but you can “choose your own adventure” here, with nearly a dozen ingredient choices making up an huge variety of options. 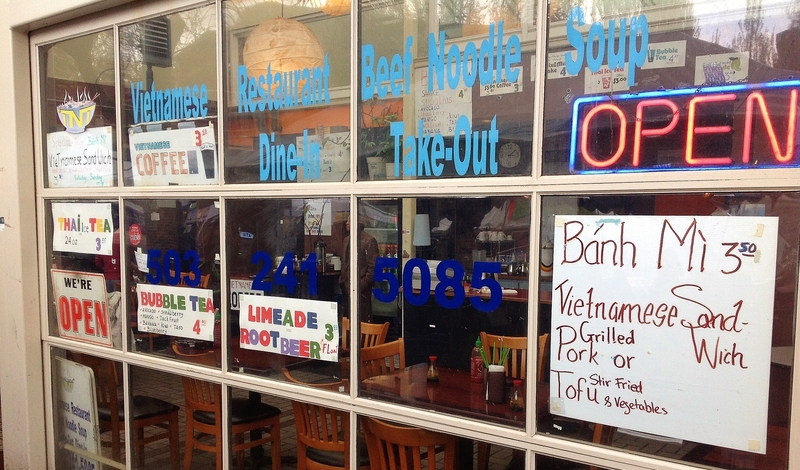 Pho comes with all of the usual suspects for garnish, and there’s chili paste and Sriracha on each table. The shrimp salad rolls where delicious (and also quite large) and the peanut sauce was perfectly respectable. The Vietnamese iced coffee will take the enamel off your teeth…in a good way, and the grilled pork was tasty, if a little firm (which again, is traditional). 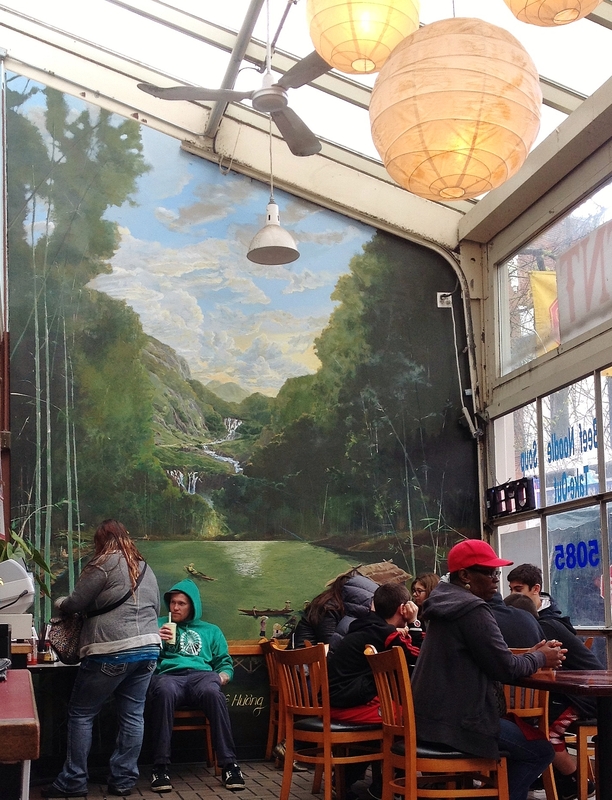 The atmosphere is a little rugged, but I like that…reminiscent of a hawker stall on the streets of Hanoi. In fact, that’s exactly what it feels like, and the quality of the food is just as authentic. Everything is made fresh, and we were told that all ingredients are sourced from local grocery stores. When I tried to order a banh-mi sandwich, the owner pointed to a bakery up the street and told me that had no sandwiches today because the bakery was closed this weekend to everything but Easter business. One warning…on market days, a concert tent is set up directly across from the entrance of Pho TNT, and the quality of the music blasting from the speakers is…well…open to interpretation. I’m looking forward to seeing what it’s like on a quiet weekday afternoon. Either way, without question, a solid five stars. ← Tualatin Crawfish Mystery Box Cook-Off!